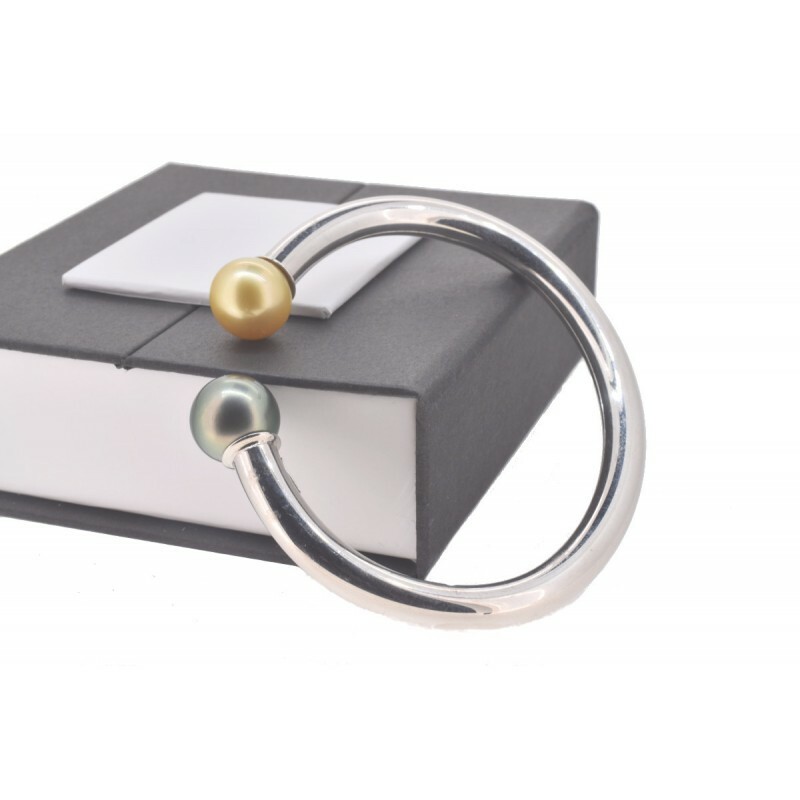 Sterling silver Toi et Moi bangle with a Tahitian and Australian pearl. "Toi et Moi" mean "You and Me" in French. Two luxurious materials at your wrist. Two pearls, one Tahitian and one Australian meet on a silver open bangle, for a result that will not go unnoticed. 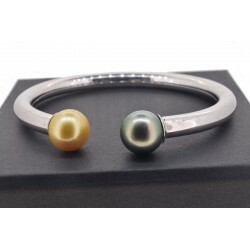 The silver is rhodium plated Sterling silver, and the two cultured pearls and 12mm in diameter, round/semi-round and of AA quality. The bangle is a 6mm thick tube that remains flexible enough to put on and take off, yet not so much as to fall off. By buying this product you can collect up to 43 loyalty points. Your cart will total 43 points that can be converted into a voucher of 12 €. Poemana guarantees high quality jewelry with certified authentic cultured pearls and the Made in France label. Satisfied or your money back guaranteed.